According to Microbewiki: Klebsiella pneumoniae and Klebsiella oxytoca are both opportunistic pathogens found in the environment and in mammalian mucosal surfaces; they are commonly passed by hands of hospital personel. Common sites for nosocomial Klebsiella infections inlcude the urinary tract, lower respiratory tract, biliary tract, and surgical wound sites. Clinical syndromes caused by this bacteria inlcude pneumonia, bacteremia, thrombophlebitis, urinary tract infection, cholecystitis, diarrhea, upper respiratory tract infection, wound infection, osteomyelitis, and meningitis. 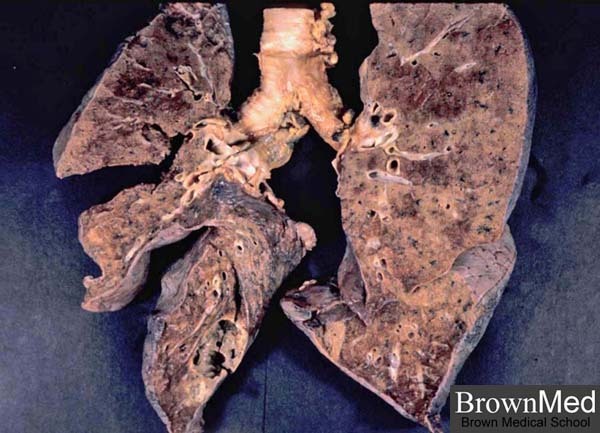 Infection in the lungs, called pneumonia, leads to necrosis, inflammation, and hemorrhage in the lung tissue, which produces a thick, bloody, mucoid sputum called currant jelly sputum. People at high risk to get this are middle-aged to older men with alcoholism, diabetes, or chronic bronchopulmonary disease. Two rarer infections caused by Klebsiella bacteria are rhinoscleroma, a “chronic inflammatory process involving the nasopharynx,” and ozena, a “chronic atrophic rhinitis characterized by necrosis of nasal mucosa and mucopurulent nasal discharge” (Emedicine). This cold and flu season may again see the need to wear facemasks, gargle and sniff Australian Tea Tree oil and water, wash hands often with alcohol based soak, avoid public gatherings, and spray hospital bedding and furniture, gym equipment, and public transportation areas with disinfectants such as water and hydrogen peroxide.